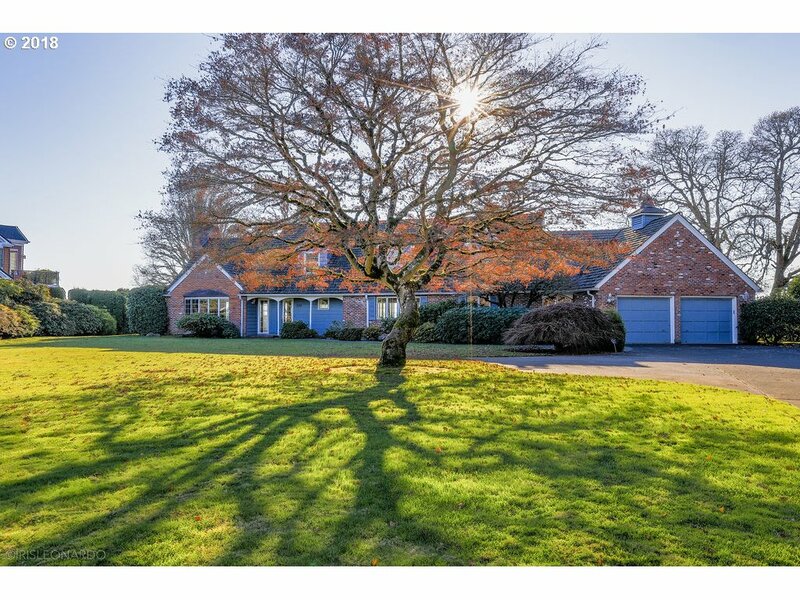 All Vancouver homes currently listed for sale in Vancouver as of 04/19/2019 are shown below. You can change the search criteria at any time by pressing the 'Change Search' button below. "Custom home on cul-del-sac in gated community w/breath-taking views from the 800 sq. ft. deck & the floor to ceiling windows of the city lights, Columbia River & Mt. Hood. Huge Great Room w/fireplace & bamboo flooring. Wolfe 6-Gas burner stove, 2-level granite island & Travertine floors. Main floor master w/fireplace & door to deck. Large bonus room w/built in wet bar, fireplace & theatre. Foundation is 1-solid piece. 10 minutes to PDX." 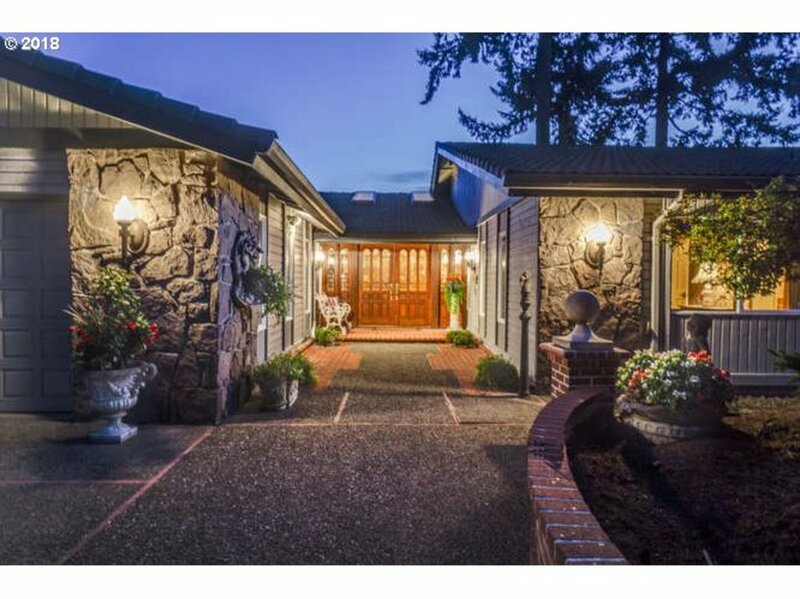 "Stunning riverfront luxury estate w/panoramic Columbia River view and partial view of Mt. Hood. Two luxurious master suites, each has a private bath, walk-in closet, and door to deck. Gourmet kitchen w/ SS appliances and large walk in pantry. Wine cellar and landscaper's storage room in basement. 3rd bedroom potential ofc w/ built ins. Central Vac, sprinkler system, fenced and gated property. Meticulously maintained by one owner!" 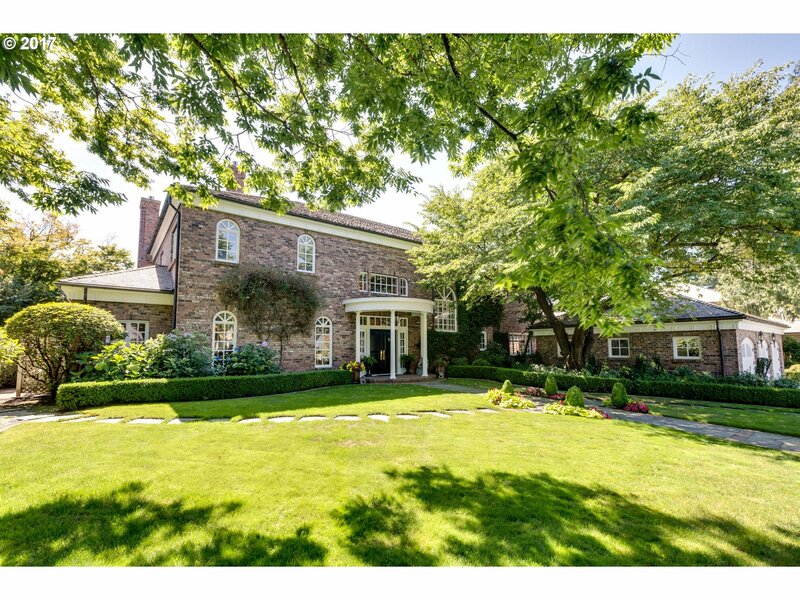 "No detail overlooked in this Remarkable Estate home! A rare find of 1.5 acres nestled back on a culdesac in the Ashley Heights Reserves & overlooking the Salmon Creek. The stunning entry is flanked by a formal living & dining rm.The gourmet kitchen, eating nook, family rm, den & office, vaulted master suite & add'l bdrms are sure to impress! Serene outdoor living incl. a bbq, oversized patio& pool! Schedule your private showing today!" "Rare opportunity to have a new home built on a one acre parcel in Felida. Looking for room for an RV, Shop, ADU or a sport court? Plenty of room for them on this lot. Builder has plans ready or can design/build your dream home. Finish level of the home is everything you expect in this price point. Panoramic Doors, luxury appliances, Indoor/Outdoor living and so much more. Pictures are sample images." "Custom brick beauty on 1.57 manicured acres with in-ground pool - surrounded by gorgeous homes onquiet dead end street, territorial view. Wide open spaces, oversized rooms, huge basement with possibilities galore. Room for home business, 2nd living quarters, or just create your compound & invite everyone you know! Buyer to verify all - Condition, size, HOA info, etc. This is a heavy fixer, will not finance, and sold as-is for cash only." "Multi Gen living opportunity.Gated estate,view of Col Riv & city lights.2 homes/2 lots sold together. 1st home unfin superior quality new const w/6878 sf, 5 BR suite's, 5 1/2 bath, theatre rm, flex rms for sauna, craft etc. 7 car gar w/12 ft dr in 1 bay. 2nd home Seller remod & lived while building newer home. Parklike 1+acre w/outdr fp. 1600 sf, 2 br, 1 ba, 2 fp's, hrdwd flrs, mud rm, 3 outbuilding's + custom chalet tree house w/power." "Gorgeous home w/ separate shop and att poolhouse w/ indoor pool. High ceil, lrg wndws, expansive deck & outdoor living area. High-end finishes and fixtures. Lg gmt Kit w/ high-end ss apl, granite cntrs island. Ample storage & blt-ins. Master Suite w/ jetted tub, vaulted ceil, w-i clos. 3 addl BRs, bonus loft area. Large entertaining/Family area on main with gas fp. 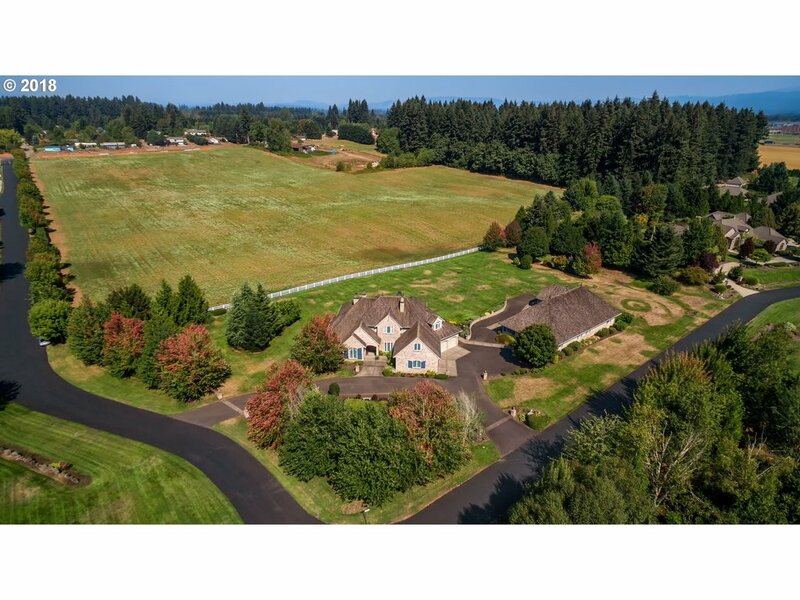 5 acres, seclusion, Camas School District." "Gorgeous French Country inspired custom home in gated Westminster Walk on 2.5 Acres. This house offers a long list of custom features including grand staircase, 4 -Limestone gas fireplaces, high ceilings, Gourmet Kitchen w/Butler's Pantry, Subzero Refrigerator, Alder Cabinets & double sinks. Main Floor Master Retreat. 6-Car Attached Garage. 8-Car Detached Garage with 12' RV Bay, Shop with Office & Bath and 1,000 sq. ft. storage above." "Stunning .78 acre private oasis nestled in the Reserve at Ashley Heights with top rated Felida schools. Custom home with beautiful millwork/built-ins, 10' coffered ceilings, 3 gas fireplaces, gourmet kitchen, high-end appliances, & butler's pantry. 5 spacious bedrooms, guest suite on main, 6 baths, bonus rm w/wet bar. Established, fully landscaped yard, two level patios w/ fire pit, trellis; perfect for entertaining and privacy!" "Contemporary Earth Advantage green built home meets luxury living. Enjoy the river view and city lights from any of the multiple decks or from the expansive windows in the great room and entertainer's kitchen. 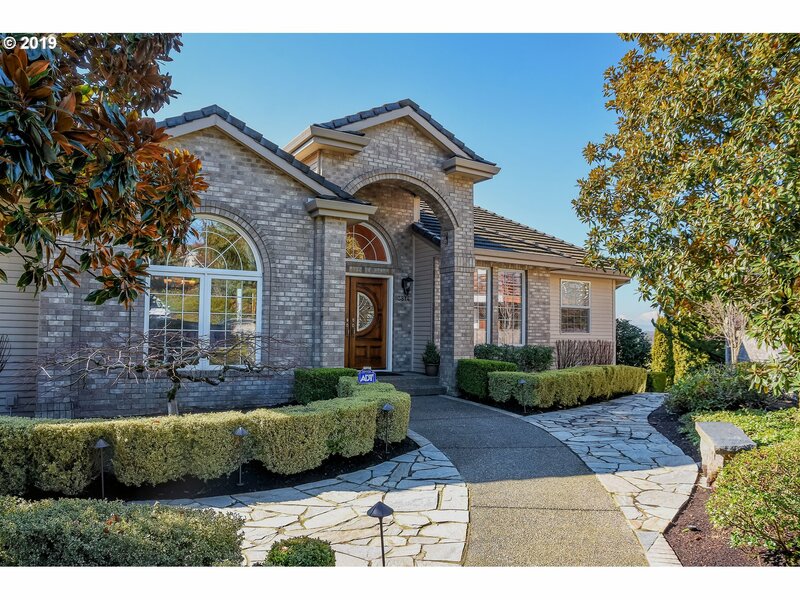 Don't miss this highly sought after Sequoia View neighborhood. This home offers a stunning master bathroom, ideal main floor living, ICF construction and an exceptional indoor/outdoor living space." 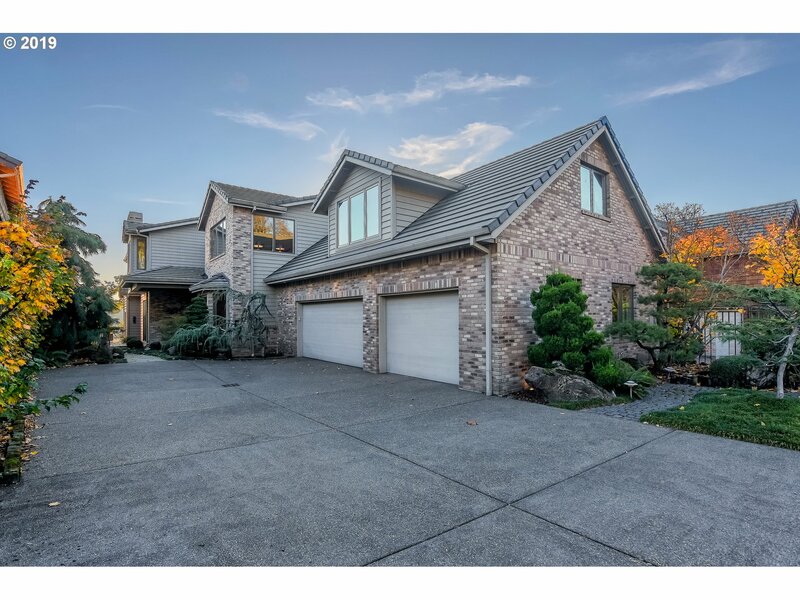 "Elegant modern design situated on the Salmon Creek Green-way with views of Salmon Creek and Mt. Hood. 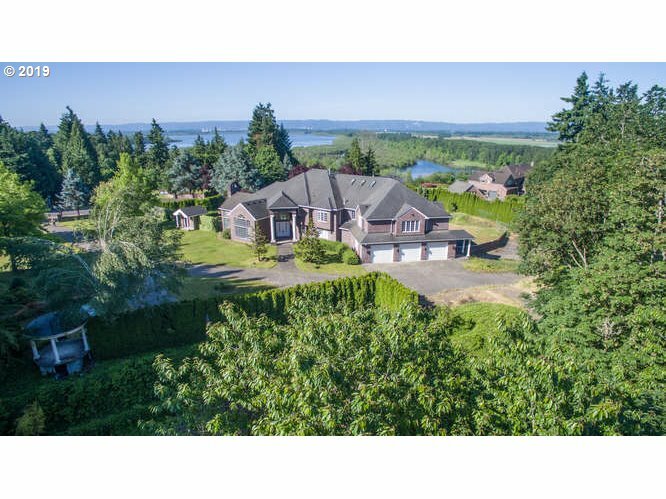 This 9 lot enclave has private access to a 6 mile paved walking trial and is just a few short minutes to I-5/205 interchange. Enjoy hiking, biking and the newest amenities of Felida and Salmon Creek. Build this home or design the home of your dreams." "Welcome to this exquisite custom built home in the beautiful neighborhood of Felida. Each space has been meticulously designed by top designers in their field. No detail has been overlooked. This home is an entertainer's delight w/its open concept & inviting outdoor space.Enjoy the XL master suite w/thoughtfully designed master bath. Separate quarters w/bedroom, living rm, & ADA bath.Stunning library/office on main.Enjoy the video tour!" 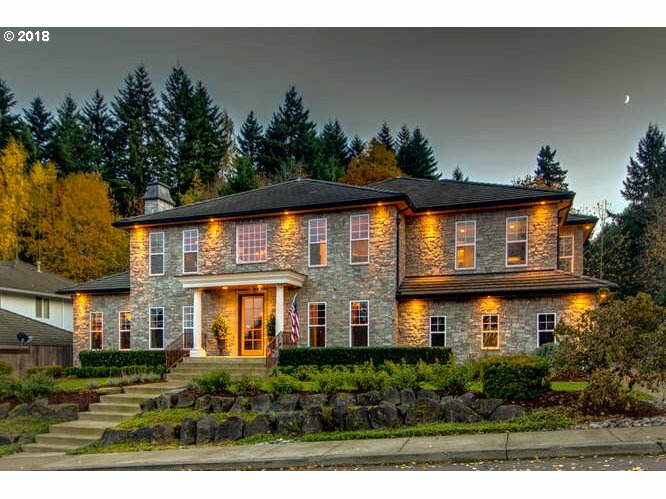 "European Influenced Smart Home,exterior limsestone and cedar,3 car garage w/guest quarters,outdoor fp. Beautiful wood flooring, moldings,amazing kitchen w hammered copper sinks and hood.Wonderful kitchen/slab granite Island and counters.Great room w/fp Great Master suite and bath w/fp.4 more bedrooms and two more baths. Rec room with kitchenette,family room,den.Down stairs you find exercise room, sauna, media room full bath.Amazing"
"Executive style living in a master-planned, acreage-style community, tucked away in the exclusive Stoney Meadows neighborhood. Featuring 40 custom homes, each on their own one-acre parcel, with walking trails, tennis courts & 40 acres of protected green space. Stunning mountain & territorial views. 4794 SF on main. 3 separate suites, 2 kitchens, 3 wood/gas fireplaces, additional 2000 SF downstairs. Just minutes to town." "Luxury Living at its finest.Front facade is natural stone. Lake's view from upstair bridge. 5 bed 3.5 bath.Engineer Acacia hardwood floor/Hickory cabinets. Lg pantry.Granite counters w/ tile backsplash. Heated tile floor in master bedroom bathroom.Bonus room wired for home entertainment.Power curtain on high windows.Extra deep 3 car garage with 2-600lbs storage racks and 40ft RV garage with sewer dump. Built in security system. ."
"Enjoy the river view from every room on the South side of the home on both levels. Beautiful Southern chestnut floors on main floor from the entry and halls to living room, dining room, kitchen nook and sitting areas. You will love the gourmet kitchen featuring fabulous appliances, natural slab granite antique counter tops and dumb waiter. Lower level could be second living quarters. Lovely yard for entertaining. 15 minutes to PDX." "Unbelievable views and privacy on this 5 ac, land with Regulation well engineered 10,720 sq ft riding arena. Plumbed and power., tack rm, and storage. The home is immaculate with sprawling entertaining places from indoors to outdoor view decks. Filled with with beautiful arches and columns hardwoods, travertine and so many impeccable amenities. The home and property could easily be a car collectors dream as well."